Located in the heart of Mayfair, the office of Kingsley LLP looks down at the Regent Street nearby Liberty and Apple store. Covering 1,100 sqf of space, this was Atelier Chang’s first built project in the UK. 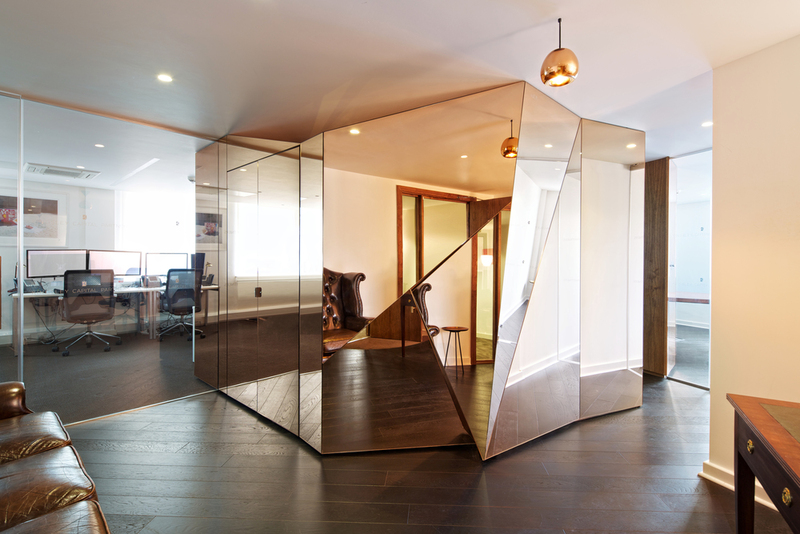 Atelier Chang inserted a mirror-covered hidden room in the center of the office to transform the spatial perception. The key concept was to anchor this sculptural object covered in copper mirror from which other rooms share the edges of its volume. 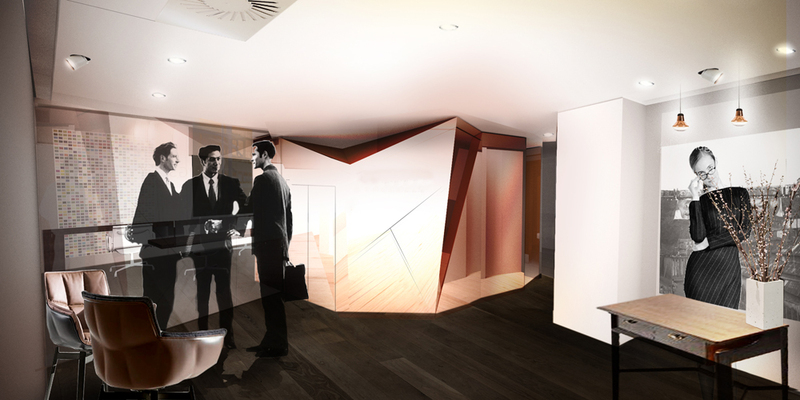 In the reception area, three broken surfaces bring out the company logo “K” through subtle architectural gesture. Another part of mirror volume transforms into seamless cabinets for the conference room, where TV is flushed perfectly with other reflective surfaces. The bespoke round table was designed by the architect and provides warm and durable surface covered in leather. Contrary to the shiny exterior, inside of the central meeting room is covered in wood, where it creates an intimate niche for spontaneous meetings. When the two glass doors swing out, the mirror room becomes a fully continuous volume to make a bigger hidden room inside. From the beginning, Atelier Chang worked closely with the client to incorporate their vision for a new platform of private equity firm. 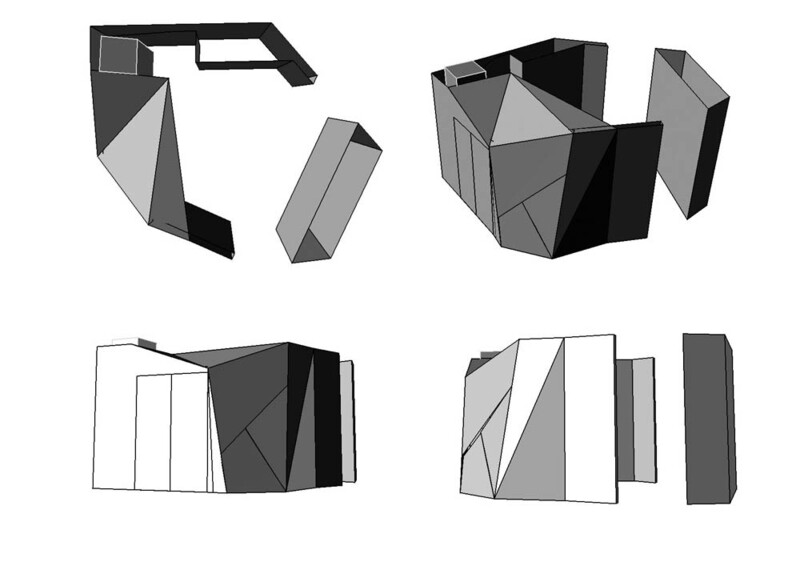 Refined quality and attention to detail in architecture would represent the core value of the firm itself. While using budgeted materials and strategy, every corner and handles was constructed seamlessly to complete this mirror sculpture. Juxtaposition of the two opposite materials the immediate change between the public and private space in proximity.